Welcome to our Product Updates page – an easy way to explore updates that are rolling out now to customers. to target quality candidates more effectively. Search by years of experience, years at current company, or years in current role. Target candidates based on when they graduated without entering a long list of schools. Know which candidates would move – and where they’d move – for the right role. 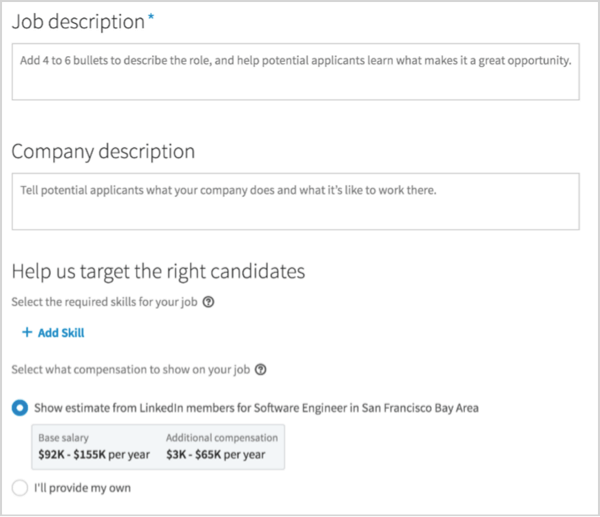 Since salary is a top criteria for job seekers, weʼre now featuring expected salary on job descriptions. Weʼll automatically populate the post with salary ranges provided by members, but to post your own salary, simply include it in your job description. 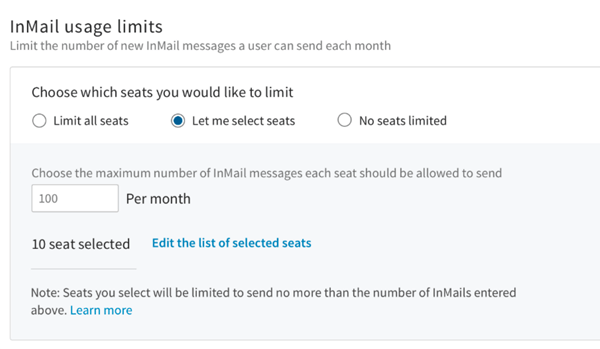 In order to ensure that InMail messages are allocated effectively across everyone on your recruiting team, admins can now set a monthly threshold for all or selected seat holders. Additionally, admins can also restrict bulk InMails to encourage sending more personalized messages. You now have the ability to target your Recruitment Ads and Sponsored Updates campaigns to your employees’ first-degree connections as well as company followers. These valuable talent pools are more likely to engage with your ads, jobs, and content. Get an inside look at our new product features with the on demand webcast now!